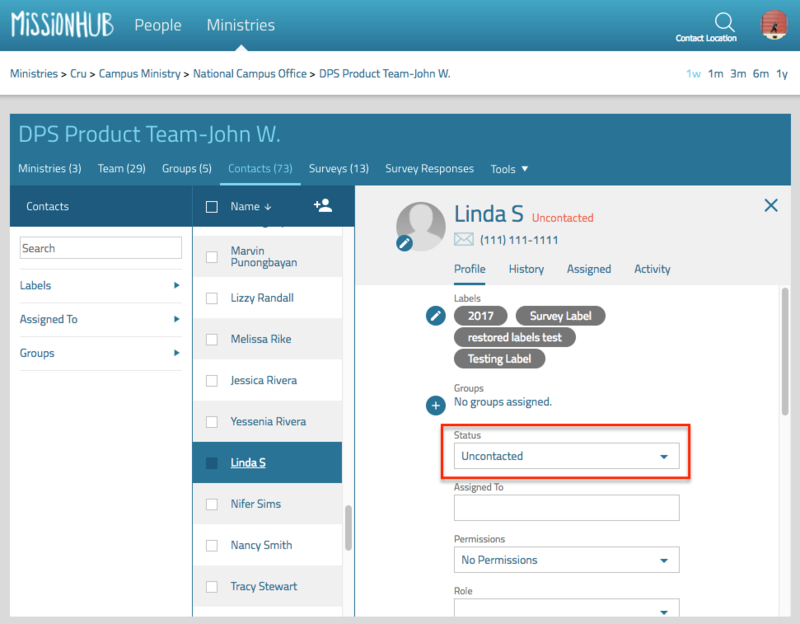 To archive one or multiple contacts, be sure you're in the Contacts view under Ministries and select the checkbox next to their name(s). Then, click the archive icon in the orange menu bar. This will delete the contacts from your ministry. 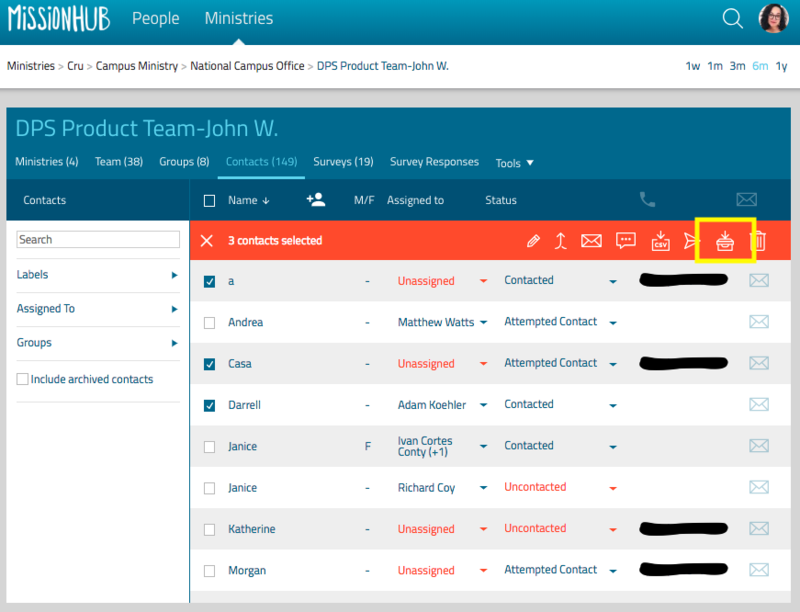 To unarchive a contact, be sure you're in Contacts under Ministry View. You'll want to search for the person you want to unarchive AND select the Include Archived Contacts option at the bottom of the filter panel. Click on the name of the contact you want to unarchive; select UNARCHIVE [NAME]. The permission they were archived with will remain the same. 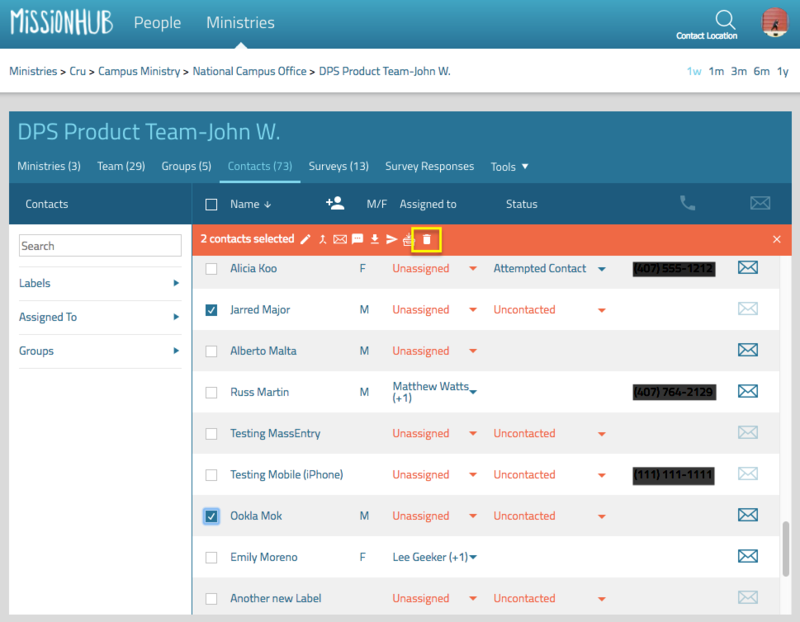 If the person you unarchive needs to get back onto MissionHub, they should be able to if they previously had User or Admin permission. At this moment you will only be able to unarchive one person at a time. 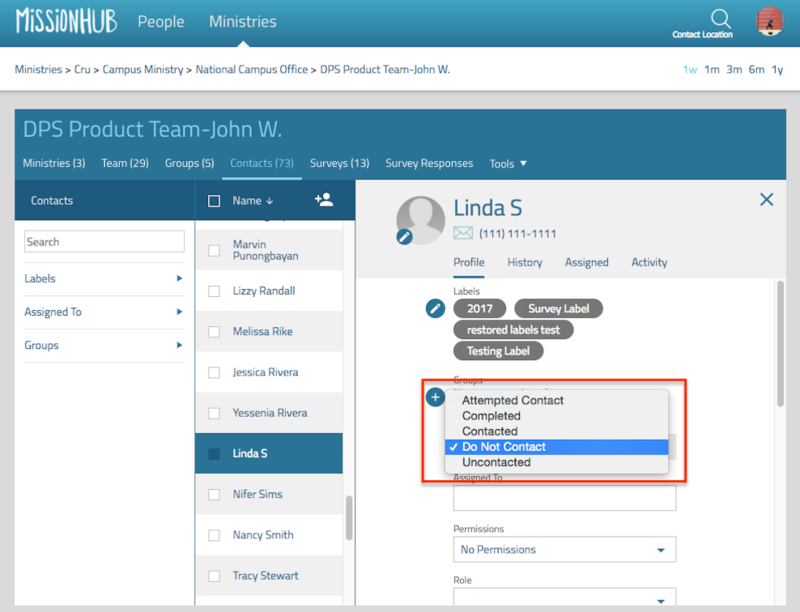 To delete one or multiple contacts, be sure you're in the Contact view under Ministries and select the checkbox next to their name(s). Then, click the delete icon in the orange menu bar. This will delete the contacts from your ministry. There is no way to reverse this action - use with caution. 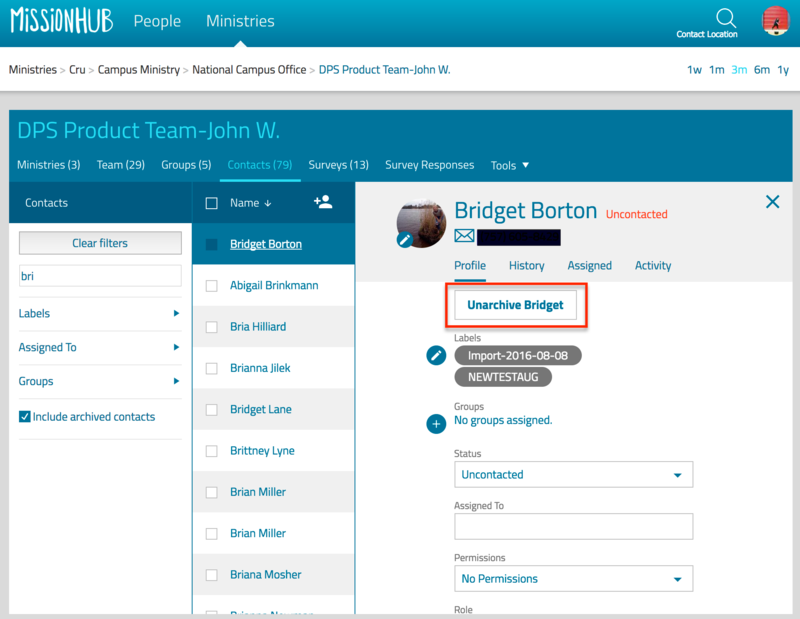 Note: If you have two versions of the same contact, it is best to Merge the Contacts. To mark someone as Do Not Contact, select the persons name from the Contact list under Ministries. Under the Status bar, select DO NOT CONTACT and save.